I am oldteen (Thierry), from Switzerland. I explore dungeons since I was born. Well folks, you've never seen me because I've come before, and I'll leave long after. A fan of the RPG genre for as long as I can think about, I've mostly dealt with tabletops and art / fan_art. When Linux and Open-source became a somewhat common sighting throghout gaming crowds I was glad so many RLs were scraped up from the gutter, forked and given a new life. 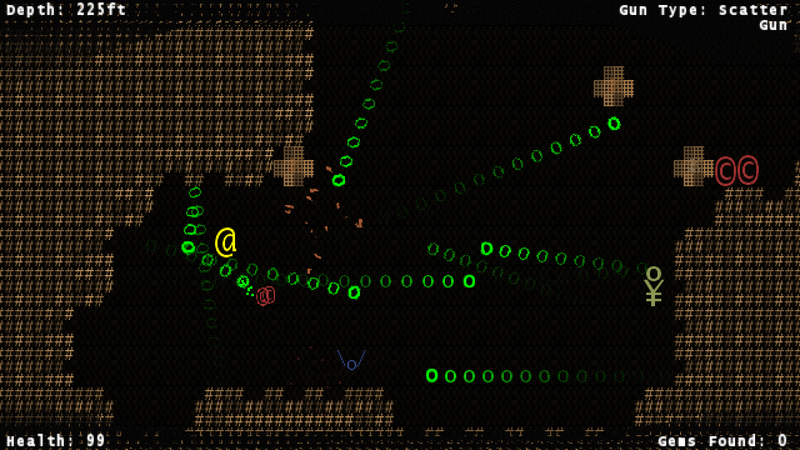 There are but a few moments throughout the day I enjoy more than a black cup o' roguelike. Just a few mentions, I've enjoyed both DCSS and Cataclysm:_Dark_Days_Ahead for quite some time now; I'm on smf.catadda for quite some time now. Besides planning a pioneer attempt into RL dev-ing, I'm currently setting up a site dedicated to RLs, OS games and notable vintage titles. I just discovered there is an introduction thread, and I had never posted on it! Hello everyone! My name is Barry, and I have started a new roguelike podcast called LikeLikeLite, that is aiming to offer a different, but equally as entertaining discussion on roguelikes than the current podcasts out there! Our focus is on getting as much player perspective as possible, while only having developer involvement specifically when we are discussing that developer's game. Our second episode is coming up soon (been a few setbacks for this one, but we're coming back strong) and I am very excited about our upcoming Pixel Dungeon special! As for me, I am a LONG time roguelike fan, and lurker of these forums - my love of roguelikes began before I even knew what the genre was, when I was just a kid with Fatal Labyrinth on the Sega Genesis and JauntTrooper: Mission Thunderbolt on our old Mac. Now I am obsessed with the genre, enough so that I went and started a podcast. I'm an avid gamer who also enjoys designing his own games, though I rarely produce anything publishable. My favorite genres have been adventure and RPG (anything interesting from Zork to Dragon Warrior), but I also enjoy turn based strategy titles with tactical elements (anything from Chess to XCOM: UFO Defense). Roguelikes and I have had a pretty rocky love-hate relationship over the years. I'm not good at them, mostly because I don't have the patience to work my way through the insanely complex series of interactions necessary to have a good shot at winning them, and am not interested in studying mountains of spoilers to accomplish the same thing. But I do love aspects such as the randomness, character development, and permadeath. Anyhow, I'm getting back into game design and hoping to do a few things that incorporate a lot of the roguelike traits. Hi, it's me again. It's been quite the interlude since I've poked into the forums, but I guess I've been feeling the itch again. I've most recently been playing ToME. Still tinkering with game design, though I haven't produced anything publishable yet. I might play around with developing something in T4. "Art thou the descendant of Erdrick? I've been developing games for around five years, however I started getting into roguelikes with the -lite games such as Spelunky and Rogue Legacy, but I later went to IRDC and tried out some proper RL games like Incursion and DoomRL (which is my favourite atm). Gemstone Keeper's come a long way since IRDC! -- several others that I've never finished. BRPG [Basic Rip-Off Game, currently at version 6.6.0, I intend to deploy it at version 6.6.6] - a python RL made from scratch as a means to learn python. CARL [CloneActionRogueLike] - based off Jotaf's tutorial for a complete RL in libtcod, will have clones, degeneration and time-control! I'm currently working on CARL to learn useful tools that will then be applied to brpg (like using shelve for saving/load, maybe using libtcod to draw the map, and etc etc). Since I'm at work I can't post screenshots here, but ask for them (or more info) and I shall deliver. I think that's about it for now. Do you plan to release BRPG and CARL here? I'd love to see pictures and/or play them. I don't actually intend either game to be commercial, but I do want to post them here when I have playable versions. Unfortunately, having a full time job means I don't have that much time to code, so it might take a while. I've been making advances in CARL at a rate of 1 feature a week or so, and at the current rate it should take me about.. 1 month until I have a playable alpha with the main features in (still missing: clone degeneration, weapons, armors and balancing). As soon as those are 'in' I'll make a post with a playable alpha. For BRPG, I can post a older 'stable' version. Current version has some game-breaking bugs (certain monster drops killing the game, problems with saving/loading, etc etc). If there's interest for a older version that wont be updated so soon, I can make it a post as well. And thanks for both the welcome and the interest! I've been playing Roguelikes for the past 20+ years, beginning with Moria. Some favorites over the years include MAngband, ADOM, GearHead, DoomRL, and Dwarf Fortress. Edit: Evidently, my account hasn't been verified to a degree where I can use attachments or post images, so no picture =P Anyway, the game itself will be available soon.